My services begin with getting to know my clients and their personal financial planning goals and unique retirement vision. Simply put, I listen first rather than talk. Investment Planning - Are my assets effectively allocated to minimize my risks while maximizing my long-term portfolio potential? I help my clients design personalized, disciplined and diversified asset allocation plans that are uniquely aligned with their personal tolerance for investment risk, their investment time horizon and their overall financial objectives. As these three variables do not remain static over time, I periodically review and monitor their asset allocation plans to ensure continued alignment. My role as financial advisor also entails educating my clients on risk factors and the correlation aspects of investment return and investment risk/volatility. Retirement Planning - How do I consolidate all of my assets to generate my desired level of income? How do I minimize the chances (and worries) of outliving the nest egg I have worked so long and hard to accumulate? I help educate my clients on the options and strategies available that are deemed compelling and merit consideration for the pursuit of their long-term goals. 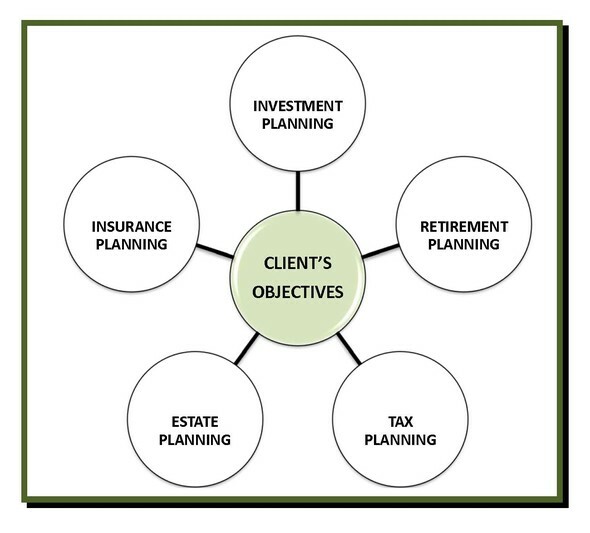 Whether it includes developing a diversified asset allocation model aimed at generating them a desired stream of income, assisting them with their annual required minimum distributions or designing more of a multigenerational plan focused on their heirs, all plans are personal and unique to their overall goals and needs. Tax Planning - Am I paying more in taxes than I otherwise need to? I analyze my clients' personal situations and past tax returns to effectively uncover tax strategies that may work to reduce, or even eliminate, their future tax burden. I also act as my client's tax advocate and help to coordinate our planning discussions with their personal tax preparer/specialist. Estate Planning - How can I reduce my exposure to estate taxes? How can I lessen the costs and burdens associated with probate? How can I best structure my assets to most effectively preserve them for my heirs? How can I learn more regarding other estate planning strategies that I may not otherwise be aware of, including Durable Powers of Attorney, Health Care Proxies, Living Wills and Irrevocable Life Insurance Trusts (ILIT), etc.? For my clients, I help to Identify/address any documented estate planning exposures and coordinate planning aspects with an attorney who specializes in the estate planning field. Insurance Planning / Risk Management - Do I have enough insurance to meet my unique goals and personal circumstances? Do I have too much insurance (i.e. am I insurance rich and cash poor)? Do I have the right type of insurance in place best suited for my defined needs? For my clients, I help to identify and address any documented insurance exposures, including the critical topic of long-term care insurance. I also can help design and implement a total insurance plan uniquely aligned to their insurance planning needs, goals and objectives. As I mentioned above, for the estate planning and tax planning components, I make it a policy to work very closely with my clients' existing attorneys and tax practitioners. In the event that these relationships have not yet been established, I typically refer our clients to qualified professionals specializing in these areas of practice.